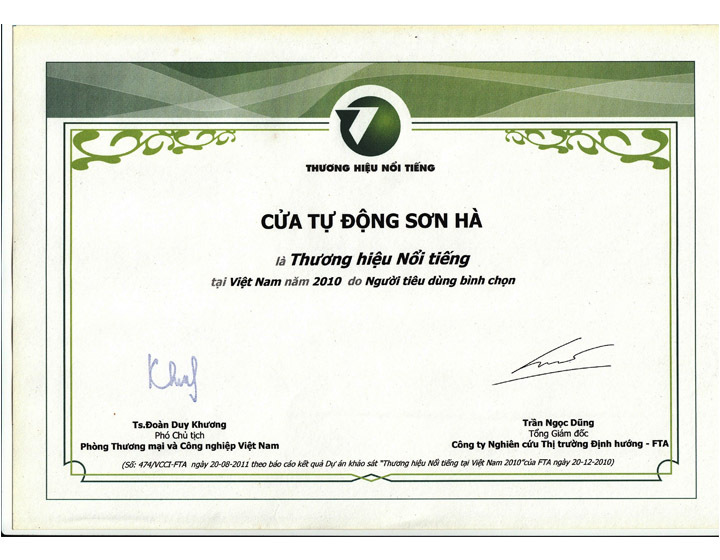 On 12 July 2014, Sonha was proud to receive the honorable award in a solemn ceremony taking place at Vietnam Music and Dance Theatre and being live broadcasted on HTV1. 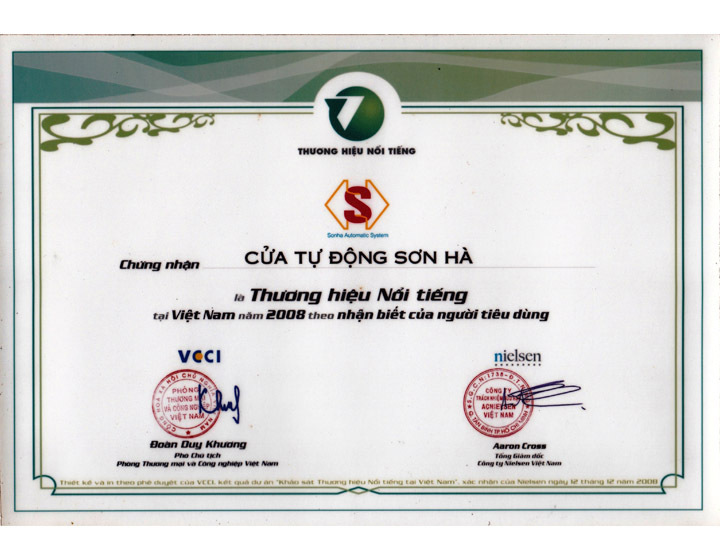 The event was co-organized by Consumer Protection Association of Vietnam, National Office of Intellectual Property of Vietnam, Vietnam Competition Authority, Hanoi Television and Consumer Newspaper. 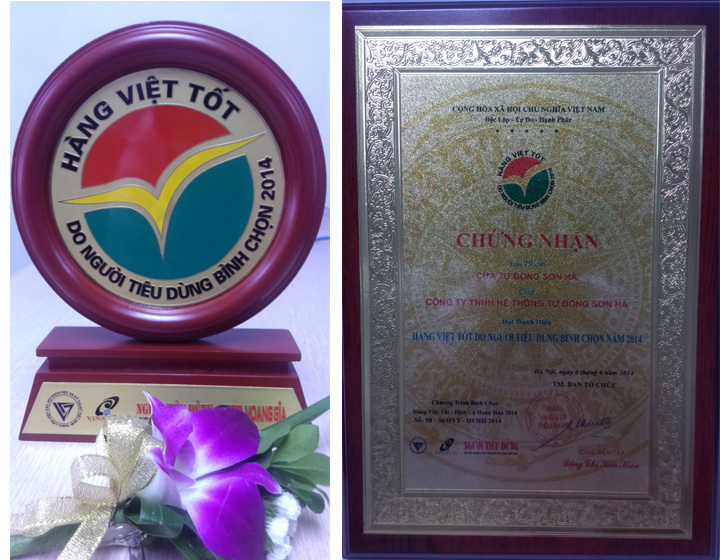 The Quality Product & Excellent Service 2014 Award was held to select and honor companies who have typical products and services which meet these fundamental criteria: high quality products and services; high credibility to consumers; high competitiveness; users friendliness and environment friendliness. Sonha Automatic Door was voted top 100 brands for The Quality Product & Excellent Service 2014 by local consumers among nearly 500 participants. 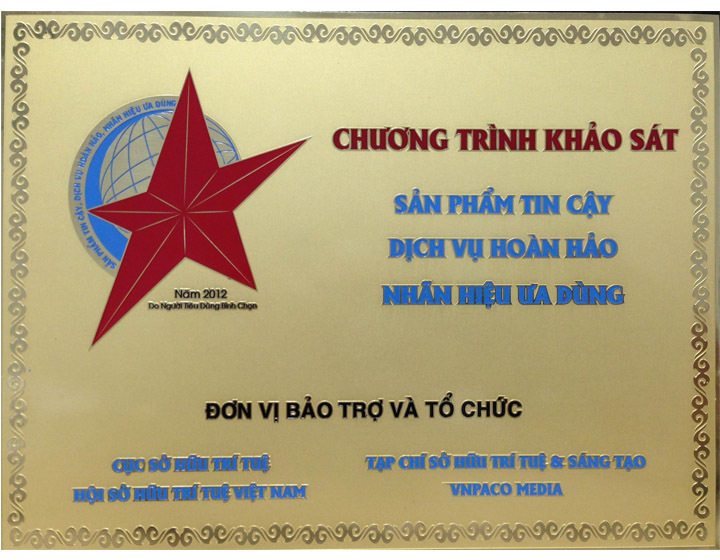 On 20 January 2013, Sonha received an honorable Award of Reliable Product, Excellent Service, Preferred Brand 2012 in a ceremony held in Ho Chi Minh City by National Office of Intellectual Property of Vietnam. The award winners were voted by nationwide consumers for their preferred products and services according to 5 criteria: quality, appearance, price, aftersales service and customer awareness. These awards encourage companies to continuously enhance product and service quality, provide more benefit for customers, guide consumers to high quality, prestigious and genuine products. 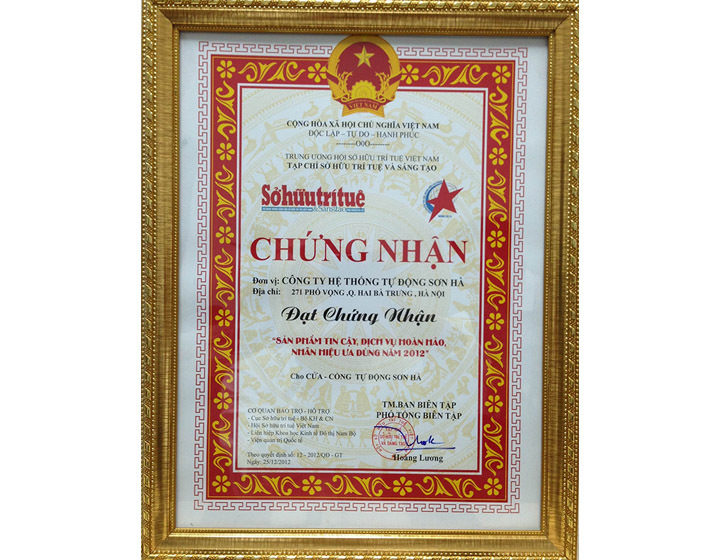 With long established credibility of quality products and services, Sonha Autodoor was voted in two consecutive years for Top 500 Most Famous Vietnam’s Brand of 2008 & 2010 by Vietnam Chamber of Commerce and Industry (VCCI) and the leading market research company AC Nielson. The winning brands were carefully evaluated by countrywide consumers in the form of sophisticated questionnaires and interviews.